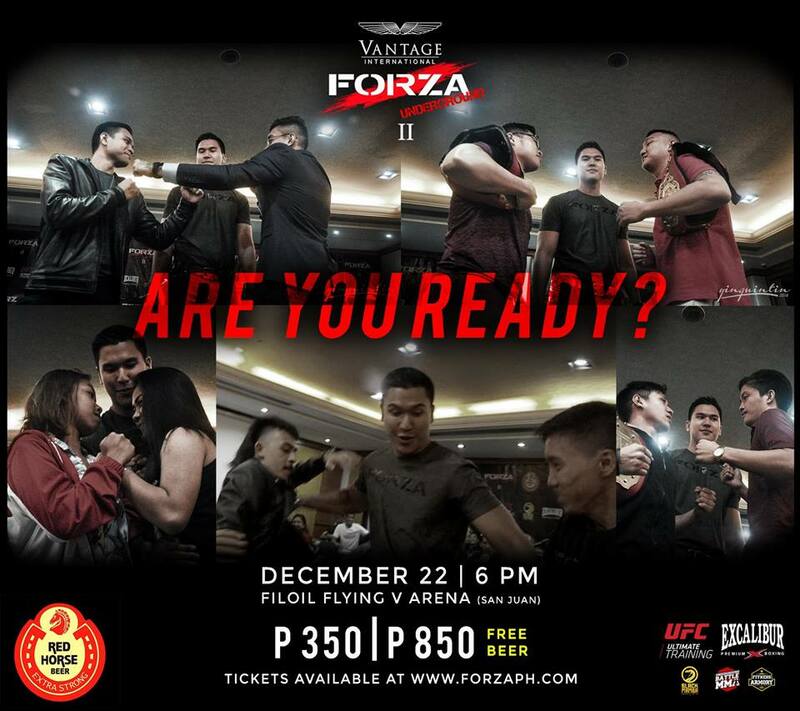 The biggest student MMA Battle in the Philippines, Forza Underground II, poised for a bigger and better event this December 22, 2018 at the FILOIL FLYING V ARENA. Part of the Kamiseta Group of Companies, Forza is an athletic wear brand which promotes not just apparel like its mother company, but also organizes major competitive events. With the hugely successful Forza Underground Presented by San Miguel Oktoberfest with over 3,000 attendees last October 20, 2017 and the Forza Obstacle Run last May 5 with 1,500 runners (the biggest Obstacle Run in Metro Manila). 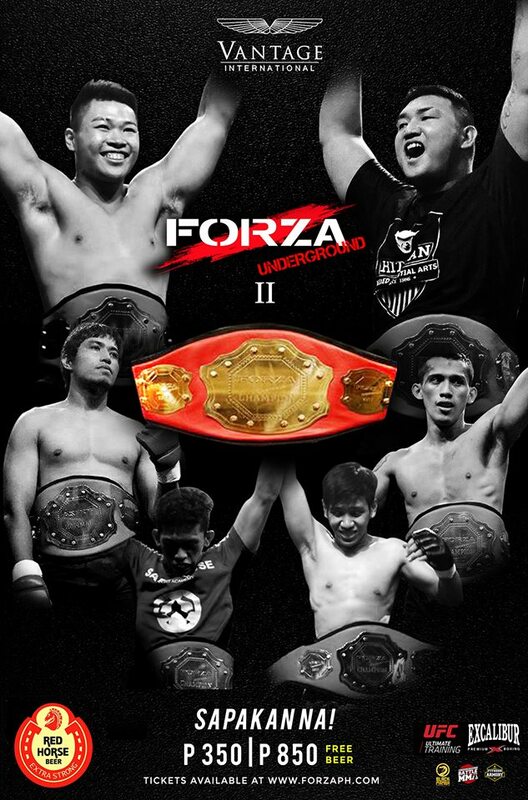 Forza Underground II with Red Horse Beer and Vantage International ups the ante by opening its doors to all students from all over the Philippines, with the Open Workout, a tryout to filter out the best of the best, as 60 athletes came from all over the archipelago, from Baguio, Batangas, Valenzuela, Cavite, Manila, Laguna etc. as well as Students from De La Salle University, Ateneo de Manila University, University of Santo Tomas, University of the East, University of the Philippines, Far Eastern University, National University, etc. With 19 bouts with 6 total Student Title Championship fights, and with the FILOIL FLYING V ARENA’s capacity of 4,500 people makes this the most anticipated MMA Battle this 2018.